Rejected, scuttled, jilted and abandoned. These are just some of the words to describe that moment when life hands you a real estate loss. You know, that exact time when the client you’ve been working with for the past few months emails you to say…”hey we were out this weekend and walked into this amazing house AND well, we bought it…isn’t that great?”. Or how about “we were going to list with you but my boss’s wife is an agent and…”. Oh and my favourite (that’s happened to me twice in 2014) “We figured since you were a manager now you wouldn’t be able to help us, so we hired someone else”. Nothing, absolutely nothing, is worse than having to look that person in the eye and congratulate them even though you would rather kick them in the stomach. The reality is that these clients aren’t out to intentionally cause you harm (at least we hope so). They just weren’t thinking. If you are a Realtor, I have just one thing to say…get used to it. After 25 years in the business, no one knows more than I do that there is no loyalty when it comes to saving a buck and no matter how good you are at staying connected, one of your clients is going to buy or sell a property without you. It’s how you recover that defines your career. Someone once told me that when you get bad news, you should take 24 hours to cool down. Formulate your response but keep it under your hat. The hotter you are the longer you need to cool down before you press send. I would be the first to admit that there are times when I don’t necessarily follow that very sage advice. When (and if) the sting subsides, find out what went wrong. Was it just a timing thing? Was the new agent at the right place at the right time? What did they say that sealed the deal? I believe it’s important to have that “exit interview” in order to learn from the experience. Maybe, if you acted quicker, you could have saved the deal. So what can you do when you get that inevitable call? First and foremost…take a deep breath. This is only a minor setback. 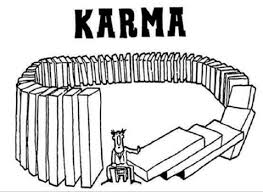 There is truth to the old saying, ‘what goes around comes around’. That basically means that one day you will be the guy that fluked into a deal that some other agent was hoping to close. So hold your head high and keep those clients in your data base. NAR reported that over 70% of home buyers and sellers never hear from their agents once the transaction closes. This is your hall pass to return the favour. Send them flowers, congratulate them on the purchase (or sale). Work that CRM like no one else. Trust me, nothing is as constant as change. Those clients will move again and when the time is right they will look to the person who has been by their side the whole time. ← List High To Double End? That’s An Interesting Strategy. How true this is!! It’s not a question of will it happen but when. Use the experience to sharpen your saw and improve your business. Thanks Mark.